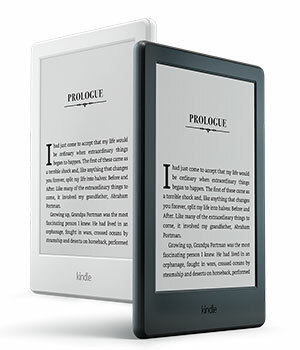 Lighter than a paperback, comfortably hold Kindle in one hand for those times when you can't put the book down. 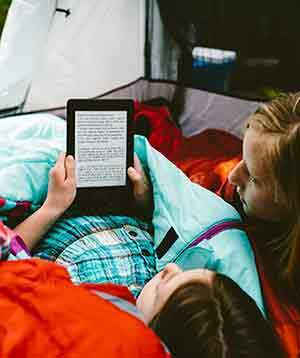 By design, Kindle is purpose-built for reading and creates a sanctuary so you can lose yourself in a book. Unlike tablets and phones, Kindle doesn't distract you with social media, emails, and text messages. With built-in Audible, access the world's largest library of audiobooks. 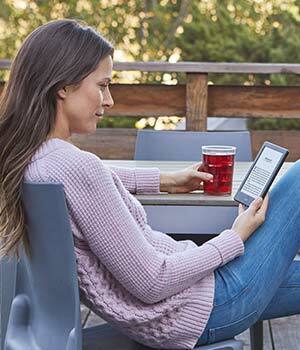 Easily switch between reading and listening on Bluetooth-enabled speakers or headphones.